At an altitude of 500m in the hills of Saint-Benoît, Devilside Paintball has a 10 ha site for paintballing. The site has several playing areas. Whether you're a beginner looking for a new experience or an experienced player looking for new places to play, Devilside is the place for everyone who wants to share unforgettable moments. Environment / Access : From Saint-Denis follow the road towards Saint-André, then Saint-Benoît and Plaines des Palmistes. 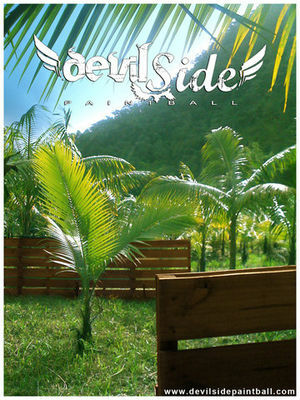 Turn at the locality Grand Etang and follow the signs for Devilside Paintball.